Lucindaville: Bet You Can't Eat Just One! This year in the garden we tried to grow delicata squash. We had one little squash. During the height of summer, care and concern went into the summer squash and by the time, we realized the winter squash was up, it was consumed by weeds. So while we were on the road, we bought a couple of lovely delicata squash, returned home, found a leak, ran errands for the sick, and crashed for a couple of days, and then we thought of the delicata squash and knew we needed to cook it soon. This may seem like a simple thing. Most ovens are set to offer the very general 350 degrees. We rarely cook ANYTHING at 350 degrees. We cook hot! We cook low and slow. Several years ago at Cookbook Of The Day, we wrote about The Splendid Table's How To Eat Supper. As we said then (and it still holds true) it had the best advice we have seen in a cookbook which we will paraphrase (and you can read the review later): when you walk in the door, turn the oven to 450 degrees. So while you are contemplating what to cook, an staring into the fridge, by the time you do decide, the oven will be ready! Well, the title of this post is from an old potato chip add -- a phrase to make you think about how addictive chips are. 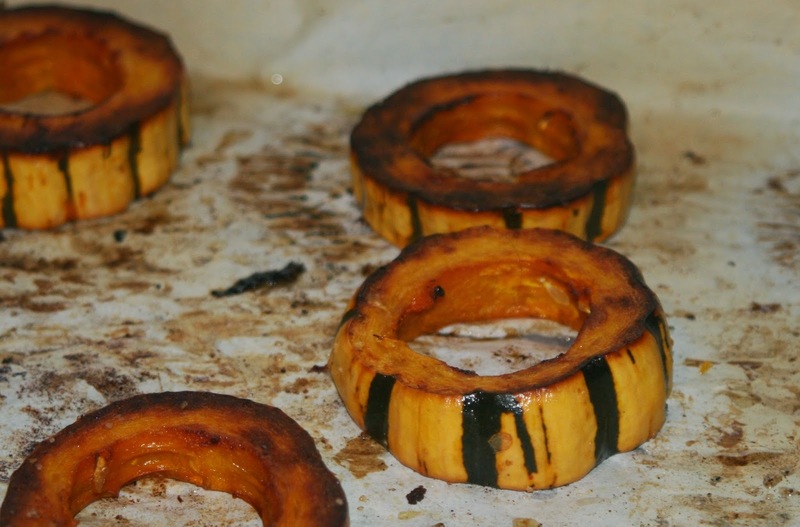 The squash rings were just that addictive. Every step past the pan, was followed by another ring gone. Needless say, it was a delicata brunch! 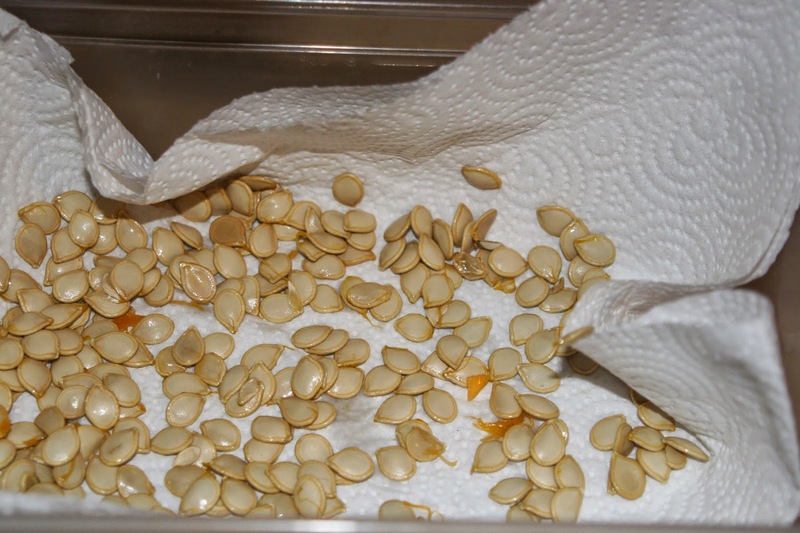 And since we live on a farm, we saved the seeds. Next year we will be more diligent with our winter squash! I just LOVE roasted squash and fall veggies but Bob hates them. Seems like so much work for just me but I may just have to try this!